Regular servicing is an ideal way to keep your vehicle on the road and identify faults before they become major problems. 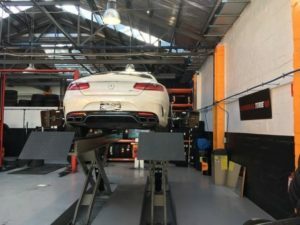 At Continental Murrumbeena, we offer a wide range of services that are customized to meet the diverse needs of the car owners. Our service professionals are qualified to carry out car service & repairs for all makes and models, so you can be assured that your vehicle is in safe hands with us. Our service areas include Murrumbeena, Hughesdale, Malvern East, Chadstone, Oakleigh, Bentleigh East & surrounding suburbs. We have invested in the state of the art equipment and computer diagnostics that allow us to isolate the problem and fix it accurately. Our car mechanic will explain to you the problems in detail and inform you of any work needed to bring your vehicle back on the road safely. Many of the car problems are left undiagnosed until it is too late. That’s why it is important to opt for scheduled maintenance service as recommended by the manufacturer. Our car services are performed by certified mechanics who will inspect the electrics, spark plugs, oil levels, and other important aspects, and fix the problems if any. We are committed to using only premium quality parts to ensure that your car is repaired to the industry standard. Whether it is a brake change, car battery replacement or clutch replacement, we use only original parts for a more comfortable and a safe driving experience. It is not necessary that your car should cost you a fortune when it requires repair. At Continental Murrumbeena, we make sure that we carry out all the necessary repairs to the highest standard whilst keeping your cost low. As we only use the vehicle parts procured from the trusted manufacturer, you don’t have to replace it regularly. This allows you to save money in the long run. You and your vehicle are our priorities. This is why you should bring your car to us whenever you need car servicing or have a problem to be fixed. To schedule an appointment, call us at (03) 9579 0007.